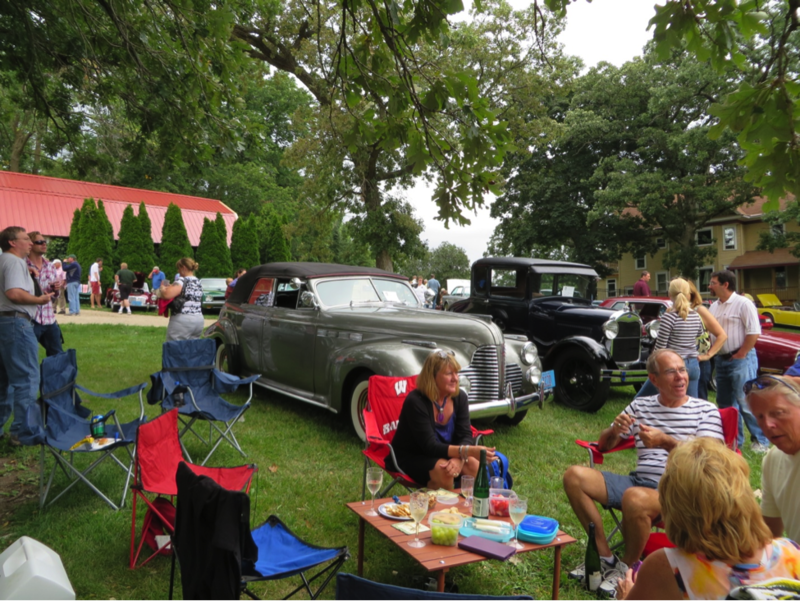 I was excited to finally be able to attend the Vintage Celebration at Botham Vineyard and Winery last Sunday. Many different types of cars were included, but Roadsters were the featured highlight that covered a portion of the beautiful grounds of the Botham’s property. Peter and Sarah Botham are the proprietors of the vineyard and winery where this years proceeds from the car show go to the Iowa County Humane Society. 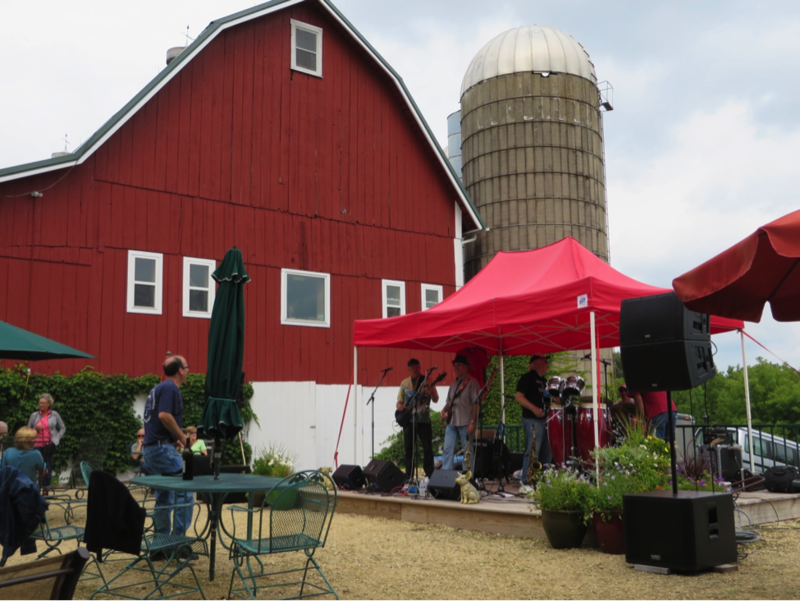 A renovated old red barn housed the car themed tasting room that buzzed with visitors. 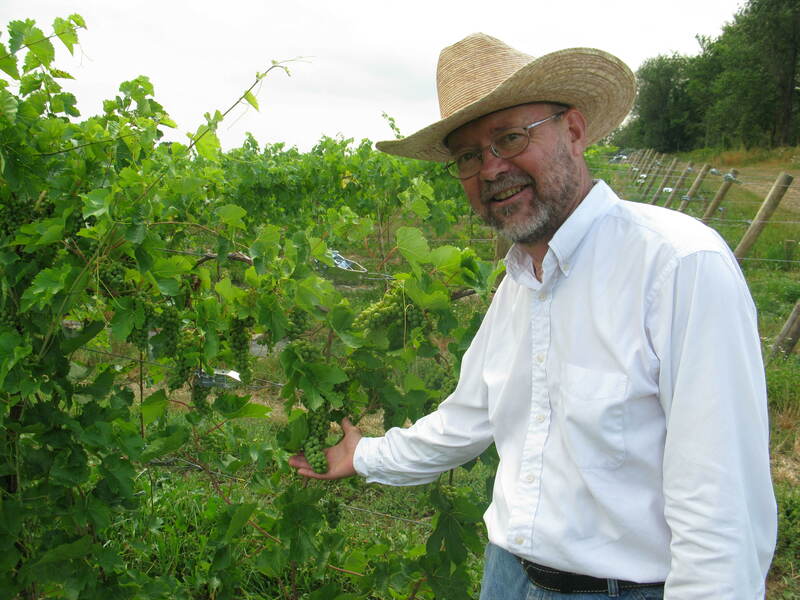 Currently, the selection of 10 wines offered includes estate grown Marchel Foch, and Leon Millot grapes, as well as New York grown grapes offered in their white wines. The vineyard resides in the Uplands area of the Driftless Region of Wisconsin, which offers rolling hills, deep valleys, and a land rich and ripe for agriculture and viticulture. 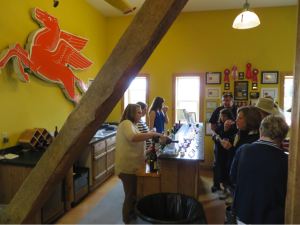 This area is called Driftless because the glaciers did not pass over this land and somehow the result is excellent grape growing conditions and some of the finest cheese and beef found anywhere. 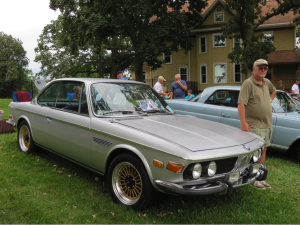 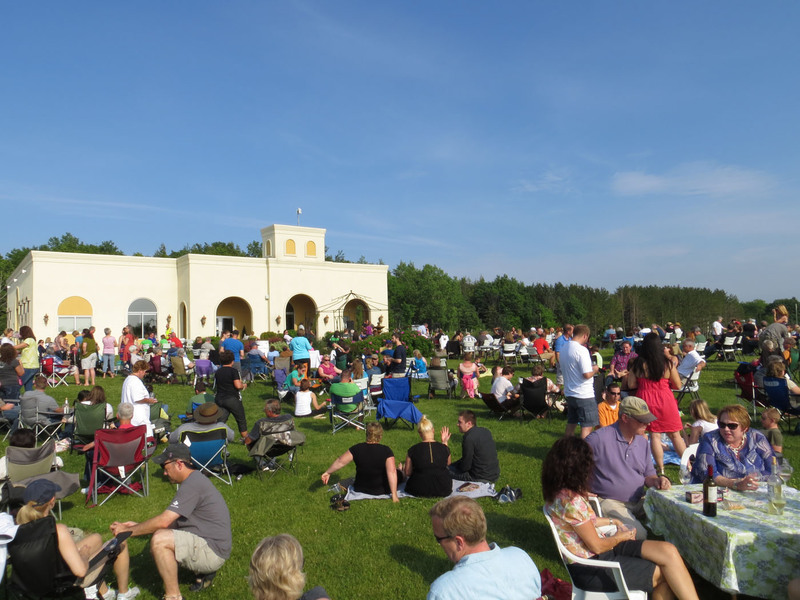 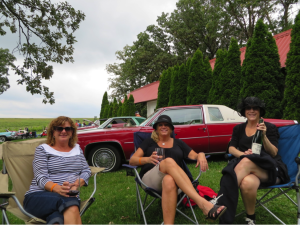 Car owners, enthusiasts, and spectators enjoyed the day that included a band on the terrace, delicious food, award winning wine, and a friendly, social atmosphere that rural Wisconsin offers generously. Vicki Jack, Kathy Sommer, and Julie Walker enjoying Botham wines at the Vintage Car show. The band Primitive Culture from Madison playing on the terrace. 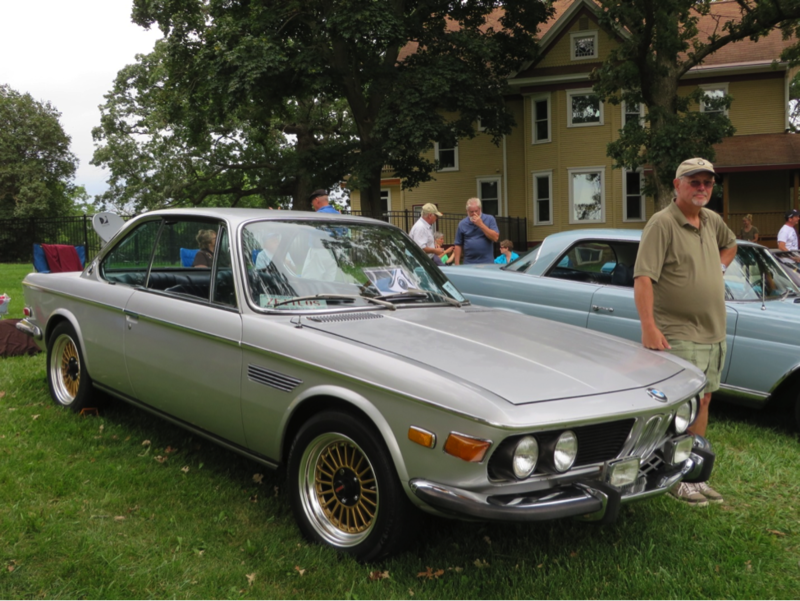 Is the date available for the 2014 car show? 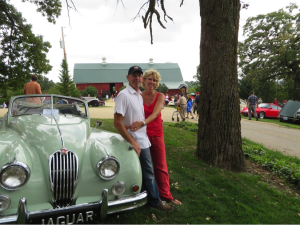 Could you please send me a registration so I can publish it in my club news letter.